Conquer the SkyRoads to become a Legend of the Skies. 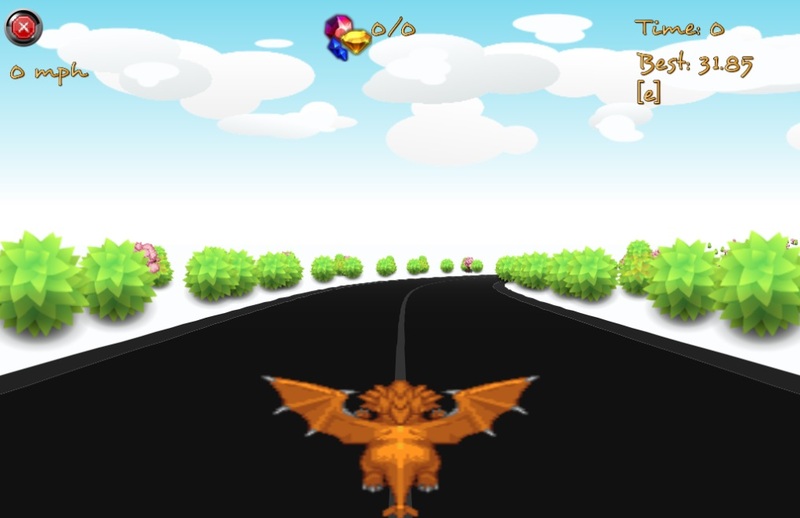 Get ready for some old-school racing action... with dragons! 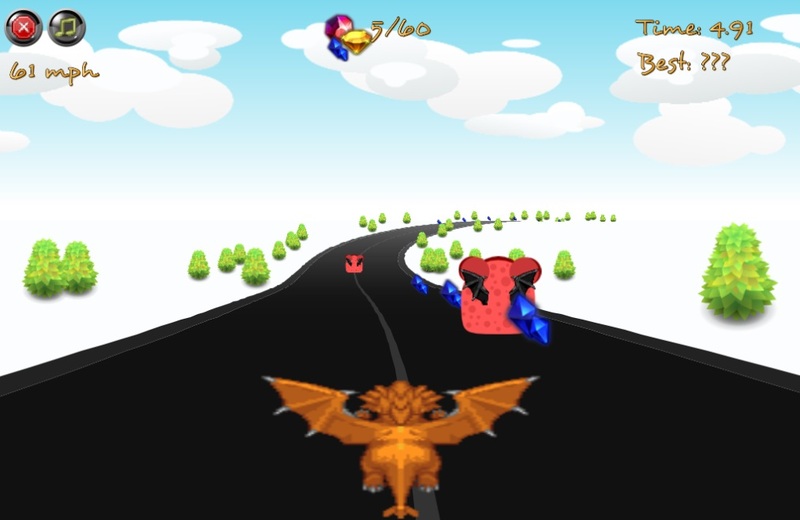 Sky Legend is a racing game which pits you against players from all around the world. Race against the clock and try to become the Track Boss! Sky Legend should work on both mobile and desktop browsers. Please use Google Chrome for best performance. Touch Left or Right side of the screen to steer. Avoid the traffic and obstacles and try to stay on the skyroad! Collect as many gems as possible to increase your speed. Blue gems give a small increase in speed. Red ones give a moderate increase, and Gold gems give a large increase in speed.